With the President having a tantrum in the White House, with his shutdown government and his enfeebled and hopeless rallying cries about his goddamned wall, its worth stopping and taking stock of how popular American culture has turned to the Mexican as the all-purpose bad guy, arguably replacing the middle eastern terrorist as the xenophobic totem of choice. The remorseless men of the Mexican drug cartels have become the perfect dark-skinned villains. From Breaking Bad to The Counsellor, Good Girls to Sicario; they’re the hell just south of the border. This is not to suggest that all movies and TV shows carry the same fear-mongering agenda, but there is a pattern. You can trace is through cinema history. The black man. The Native American. Radical Islam. And now…? Into this arena steps Clint Eastwood – a vocal Republican – and The Mule. Eastwood plays 90 year-old Earl Stone, a former Illinois horticulturist whose passion for flowers eclipsed his devotion to his family. Hit upon hard times, Earl becomes a drug mule for a Mexican cartel. Meanwhile, DEA agent Colin Bates (Bradley Cooper) gets a whiff of his trail from a newly acquired informant. 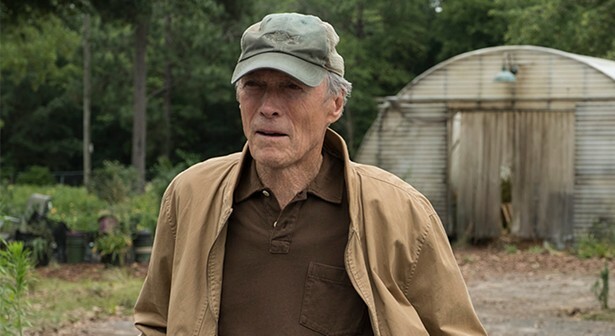 The setup paints The Mule as a by-numbers cop v criminal thriller, with expectations that Eastwood’s wily old Earl will outfox his pursuers like a nonagenarian iteration of Burt Reynolds’ Bandit and a good time will be had by all… but that’s not quite the movie we’re given. Indeed, for well over an hour, Cooper’s lawman is incidental; his inclusion seemingly honorary for past work in American Sniper. Instead, The Mule has the good-natured feel of David Lynch’s The Straight Story. Nothing is as pleasant as Earl on the road, enjoying America’s highways and byways as he rolls on by the cornfields. A buddy movie of a different stripe materialises. As Earl grows more successful and renowned, so his ‘drops’ increase in value. To wit he is assigned a handler in Ignacio Serricchio’s tough nut Julio. Serricchio becomes the film’s most important supporting player. Initially frustrated and resentful of Earl, he comes to enjoy the old man’s grouchy ways and even garners a level of respect for him. Eastwood walks a high wire in portraying this unlikely and fragile relationship. There is always the threat that this could descend into mawkishness at any moment. It doesn’t, somehow. And it’s almost a shame when the thread is abruptly cut for the film’s third act (not how you think). Still, Julio is the film’s most carefully graded Mexican character, and he goes some way to preventing The Mule from becoming yet another American thriller in which interchangeable cartel thugs perform the same one-dimensional function before dying. Still, a few too many characters here are poorly serviced by dead-ends, both figurative and literal. For his part, Eastwood plays Earl as strikingly vulnerable. This is especially true in the early stretches of the film where he appears small and frightened. It’s an upfront inversion of the iconic tough guy persona he’s cultivated throughout his career on the silver screen and might well be one of his best performances. Earl’s estranged daughter (Alison Eastwood) calls him a ‘late bloomer’ – a pun on his vocation of choice – but a fitting assessment. As The Mule progresses, so Earl seems to blossom. 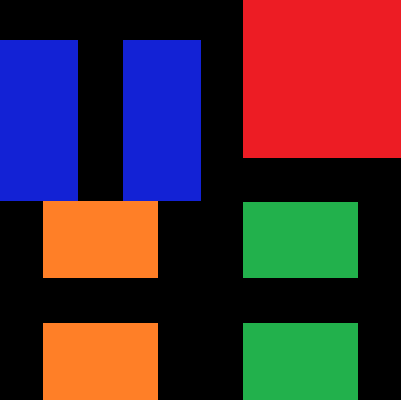 The character has a well-hewn arc. Conventional, but pleasing. The conventional underpins Eastwood’s cinema. As has become the norm, his directorial style favours no-nonsense set-ups, a washed-out look and music that steers home the sentiment. That’s fine. It compliments his character here, absolutely. Earl is a man out of time, both figuratively and literally, and this is reflected in his breezy bafflement at political correctness and his open disdain for The Internet. Which brings us to one of The Mule‘s most timely themes. Earl finds himself in this predicament because the world we live in has evolved beyond him. Online florists put him out of business. The Mule could be read as a cautionary tale of what happens when the employment market adapts to new technologies faster than the people caught within it. As our lives become increasingly automated, jobs are disappearing. New ones are required to take their place and the gaps aren’t all filled in. Might convenient crime become a viable substitute? The wider fallout of Earl’s drug runs are a million miles from Eastwood’s frame. Just as Earl prefers not to look at the bags in the back of his pick-up, so The Mule is happier not glancing at the mess outside the peripheries. And while this may feel like a convenient and conspicuous oversight, its hard to see how such thornier issues might’ve been squeezed into the narrative. Simply, those are stories for other movies and Eastwood knows that. As much as The Mule feels as though it is forever on the verge of succumbing to its conservatism, its flimsy cultural stereotypes and its sometimes cliché depiction of the funny old white man, it’s among the most charming pictures Eastwood has put his name to in quite some time. There’s an inner warmth to the movie that suggests Earl is closer to its creator’s heart than, say, the crotchety old Walt Kowalski of Gran Torino or the miserly Frankie Dunn of Million Dollar Baby. His ability to churn out pictures as he does never ceases to amaze, and there’s a sadness to the realisation that this streak cannot continue indefinitely. There’s a line toward the end of The Mule that goes something like “the only person who wants to live to be a hundred is the 99 year-old”. Eastwood is in sight of such a milestone. Whether he gets there or not, The Mule will stand just fine as both a career summation and a gentle push back against expectations.